Nick told me that this is a spring fog and early morning haze combination. 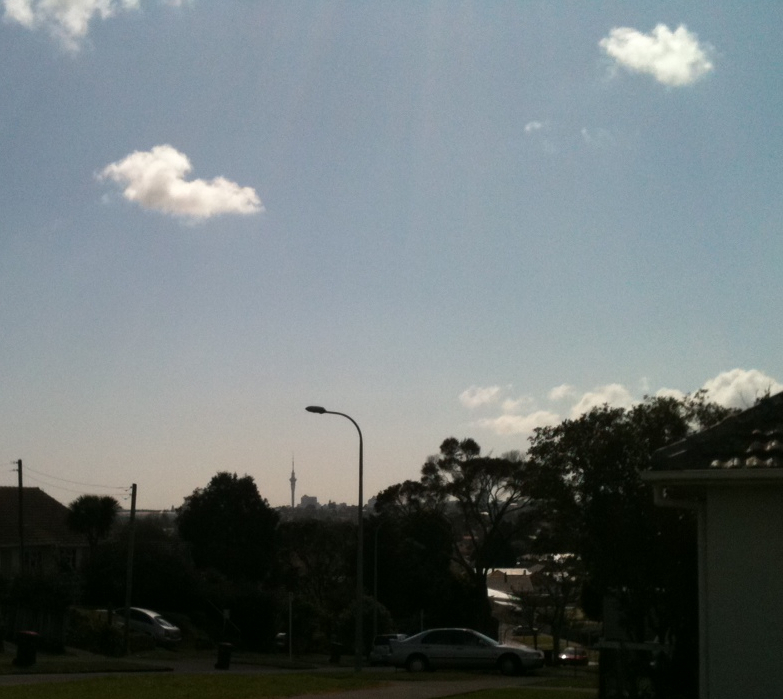 The fog seems quite settled in front of the Waitakere ranges but also hazy over the city. Still 8 degrees (cold enough to hold the pollutants in) in the morning but getting much warmer later in the day -- 17 degrees today, haze season will be over soon.